First, I open it and then I….ok, sorry. Just being silly. But honestly, I think we sometimes take some really important things for granted, things that seem simple, and we don’t really consider why we do what we do. We may assume that enjoying and learning from scripture should be a given, and then we struggle with guilt or confusion when it isn’t. It’s often easy to overlook some basic practices that might really help. I’d like to point out a few of those here and share with you what I’ve done well, and not so well, when it comes to the B.I.B.L.E. But here are some things I’ve learned to do that I’ve found very helpful. I’ll start with the physical and then move to the emotional and then spiritual. 1. A quiet place. Normally I like to work in a crowded coffee shop. But not for this. I need a quiet space. 2. A comfortable chair. I know, I know. That sounds so wimpy. But I even like to go out back on our porch swing, get a really big soft pillow and put it on one end, and then lay down and swing while I read. But whatever it is – it should be comfy. Relaxing even. 3. The temperature has to be just right. In the summer, I love going outside and sitting under our umbrella or on the swing in the cool of the morning. I do this pretty late into the fall – until I just can’t stand it because it’s too cold. Then I go in the basement. Not sure why – I like it cool. Find your right temperature. 4. Coffee helps me connect with Jesus. Just saying. 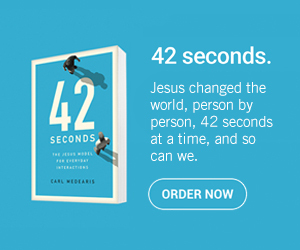 Okay, now that the easy stuff is done, let’s talk about something often overlooked in our times of connecting (or trying to connect) with God. Our emotional state. 1. Accept that you feel the way you feel – and deal with it. Don’t pretend it’s not there. That’s not helpful. Acknowledge your current emotional or physical state, and make a little plan to figure out what to do. Or better yet, tell God about it. You are not hiding it from Him anyway. Get it off your chest, and then quiet yourself and invite Him to help. 2. If you cannot wake up early in the morning, especially before coffee and your breakfast and whatever your morning routine is (exercise maybe? ), then just wait. There’s no rule that says you have to spend time with Jesus BEFORE you do anything else. I know this has been taught – but it’s simply not true. Drink coffee. Eat breakfast. Go for a walk and warm yourself up on reading, by looking at the newspaper. Or whatever. If you’re half asleep and trying to give God your attention – well, that’s just dumb. Don’t do that. Change things around. Have your time with God in the evening if you need to. Whatever works. 3. I keep a pen and paper by me so i can write things down when they pop into my mind. I used to try and ignore them or hope I’d remember them later – neither works. Now I just stop, write it down, and then get back to it. So much easier. 4. If you’re angry or hurt or upset with someone – then the first (and only) thing you should do is deal with that. Stop and just pray about that. Ask God to speak to you. If you can, even deal with it right then. Don’t wait. Walk back inside and talk to your spouse. There is no better way to honor God then by dealing with these kinds of issues. Don’t you dare just read the Bible and chalk it up as one for “team God,” even though you have bitterness in your heart. So the basic rule of thumb here is to be aware of what’s actually going on around you and inside of you and deal with it appropriately. 1. It’s like a dinner-time meal. We have meat and potatoes. Veggies and side dishes and appetizers. That’s not a perfect analogy, but you’ll get where I’m headed. 2. I start (as you should) with the appetizers. You’re gonna laugh but I have three daily devotional apps on my phone and I read all three first thing. First, I read “My Utmost for His Highest” by Oswald Chambers. It takes one or two minutes. Then I read “Our Daily Bread” which takes about the same. And I finish with “Jesus Calling.” All total – this is about five minutes. It’s surprising how much this focuses me and clears my mind and heart. And there are often some really good things – sometimes they even have messages that are similar in theme. 3. For me, the side dish is always the Psalms and Proverbs. I try to read the chapter of Proverbs that corresponds to that day. Today I read chapter 19. And then I read a Psalm or two. They give me wisdom and help me worship. Two things I need and want, everyday. 4. Meat and potatoes can be anything out of the rest of the Bible. I always like some Gospels and Acts – those are my go-to portions. But I love the rest of the New Testament, and you may be surprised, but I LOVE the Old. I’ve probably spent as much or more time there then in the New. Now, all the things above are helpful to think through, very practical things. But, let’s move on to the Big Thought: How we think about the Bible (what it is and what it is meant to do) and what we do with it – is Everything! First, here’s my short answer to that very big question about what the Bible actually is and how we are supposed to engage with it: I think the Bible is NOT a handbook of rules and regulations. It’s a living, breathing communication from the Word of God (Jesus) through a written format (the Bible) to us. We live, eat and drink it in. We speak it back (prayer). We let it change us from the inside out. It’s not that we’re simply “obeying it” as if it’s something just to be adhered to, but we let it point us to the final word – Jesus himself, who then changes us by his Spirit. Bottom line – understand what the Bible is and isn’t. Interact with it – because it’s not an it. It’s a Who – Jesus himself. And He does stuff when we let Him. Now, go find a cozy warm spot with a good cup of coffee (or glass of wine in the evening) and curl up with the One who can change your life. Learn to live and love like He did. I know that when I do – I’m never the same.